This was originally going to be a plea to help fund the kickass comic project Mongrel: SOB via Kickstarter, but when I went to write this post I discovered that not only had the project met its goal, it exceeded it. Woo! 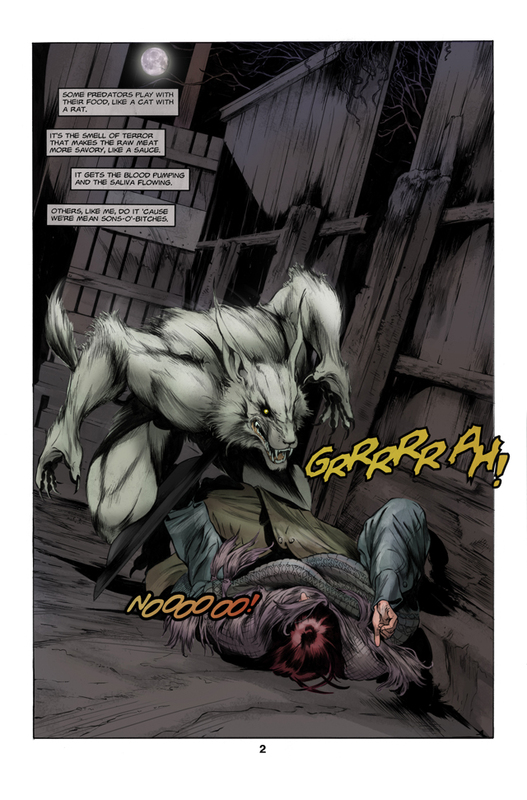 That means that we have a new werewolf graphic novel on the way! Mongrel: SOB is a horror graphic novel written by Ed Dunphy with art by Andrew Mitchell Kudelka. Said to be one part The Howling and one part CSI: Chicago, this gritty murder mystery, set in 1990s Chicago, pits a monstrous werewolf against a veteran Chicago detective. I am super geeked about this graphic novel. I love me some murder mysteries! Plus, as you can see above, the artwork is phenomenal. I can’t wait to get my hands on this one. How about you? What are your thoughts on Mongrel: SOB? For more info check out the official Mongrel: SOB website.